-Domestic items TYPICALLY ship within 24 business hours of a CLEARED payment. - UPS tracking and insurance is included. - Items weighing a pound and under will ship via USPS First Class or Priority Mail. - Shipments may incur taxes upon delivery. - Attention: UPS ground transit is on business days only and will not include weekends. Customer is responsible for transportation of the item back to Line 6 Direct (this includes return shipping for our non-local customers). 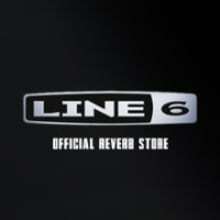 For returns of product within the United States Line 6 Direct will pay for shipping of the new replacement item back to the customer. Special Exceptions: The following products are not eligible for return and will be sent back to you at your cost and expense if received by us: Any product not purchased from Line 6 Direct. Any products with missing, damaged or altered serial numbers. Any product that is returned without all original packaging and accessories, including the retail box, manuals, and all other items originally included. Any product that has been serviced without our express permission. Customer must contact us within 14 days of delivery to request a return. Product must be in factory sealed never opened resalable condition to qualify for a full refund. All returns for refund will incur an 15% restocking fee (including defective items that are damaged and DOA items). Defective items can be exchanged for a working unit with no restocking fee (customers must pay for transportation of unit back to Line 6 Direct), but any return for refund will incur an 15% restocking fee.